On Thursday, September 7, 2017, the Cornwell (Winnipeg) Branch and the JTCVC Alumni unveiled a permanent display for the Cornwell at his Gun print and formally presented it to the Royal Canadian Sea Cadet Corps John Travers Cornwell VC. Making the presentation on behalf of the Branch was Branch President Don Bullee and on behalf of the JTCVC Alumni was Alumni Chair John Jamieson. Receiving the presentation on behalf of the Corps was the Corps Commanding Officer Lt(N) Kevin Daeninck and Corps Coxswain CPO1 Riley Howells. Royal Canadian Sea Cadet Corps John Travers Cornwell VC unveiled a new painting of their corps badge at Ceremonial Divisions on Thursday. The Alumni, represented by Larry Schenkeveld, Cornwell (Winnipeg) Branch President, and Andy Huhn, artist, formally presented the painting to the Corps. The commanding officer, Lt(N) Kevin Daeninck, and the coxswain, CPO1 Riley Howells, accepted the painting on behalf of the Corps. 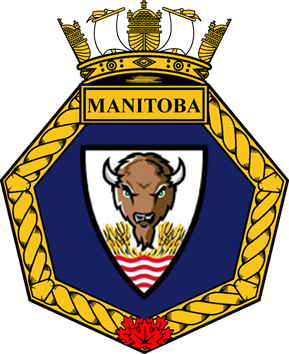 The Branches of the Manitoba Division of The Navy League of Canada support one or more of the Navy League and/or Sea Cadet corps in the province of Manitoba.